All of today’s paper currency is Federal Reserve Notes with green Treasury seals. 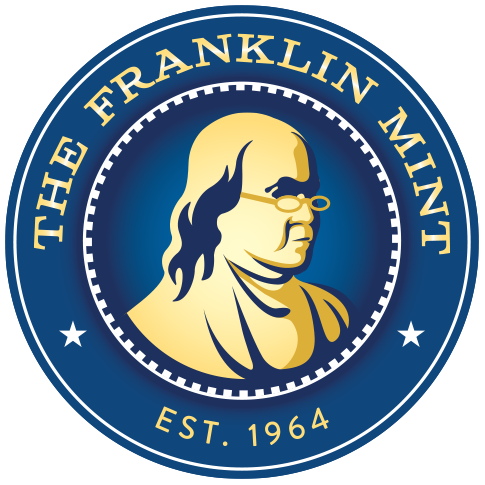 In the past, though, Americans used several different types of currency, and each had a distinctively colored Treasury seal. 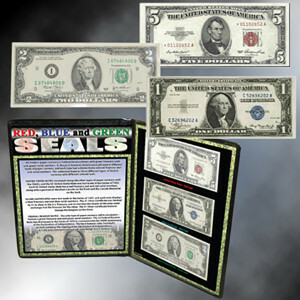 This collection features three different types of currency with different colored seals. Until the Series of 1963, the $5 United States Note was issued along with other types of U.S. currency. U.S. Notes are very distinctive, because they were issued with red Treasury seals and red serial numbers. It features Abraham Lincoln on the front and the Lincoln Memorial on the back. It was last made over 50 years ago. $1 Silver Certificate bank notes were last made in the Series of 1957 (over 55 years ago). Each note was backed by $1 in silver bullion in the U.S. Treasury. 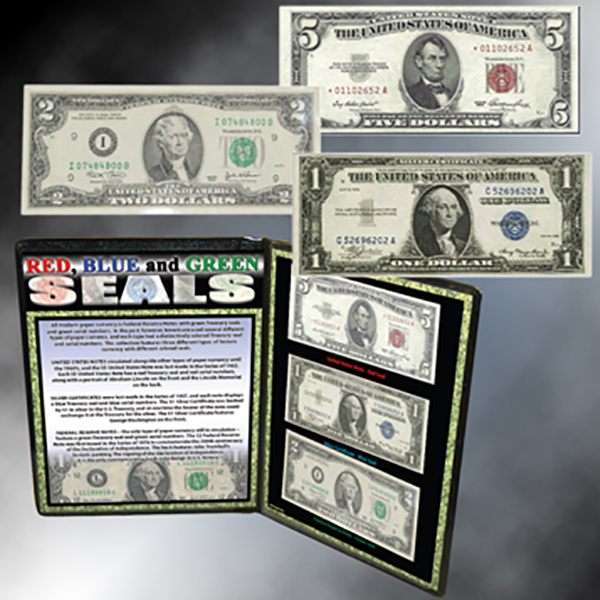 The Treasury seal and serial numbers were printed in blue.